TETRON C is the trade name for carbon-filled polytetrafluorethylene (PTFE). 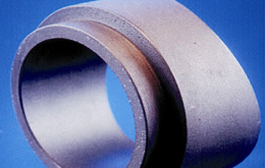 Carbon and graphite fillers are available in several grades to match specific applications. Carbon improves creep resistance, increases the hardness and raises the thermal conductivity of PTFE. Carbon/Graphite alloys have excellent wear properties and some electrical conductivity and therefore antistatic. The range of fillers include amorphous petroleum coke and E-carbon partly graphitised coke. Carbon fillers allow for machining to close tolerances as tool wear is lower during the machining. The product has a deep black appearance and gives smooth machined surfaces and will not scuff mating parts such as polished balls (ball valves). Cut to Size & Component Machining available for this product. Click here to view the data sheet for this product.